Last month a customer in Denmark complained that the AR168R board he received was incomplete, and he attached the photo showing that the RS232 driver and DB9 connector were missing. 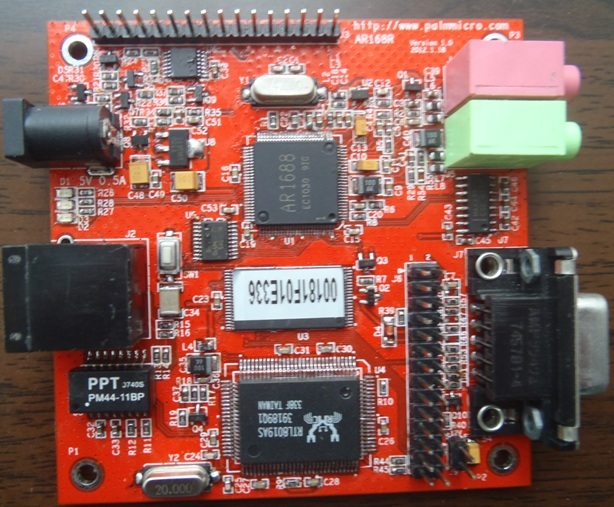 What he received was actually our standard board for Radio over IP application, but the picture in AR168R web page was misleading, as we had put the image of the special board for REMOTA TECNOLOGIA on it. After we exchanged more emails, more misleading and confusing details about AR168R were revealed. As we have poor documentation about it, I am collecting them here as a reminder to avoid the puzzles for future customers and myself as well. 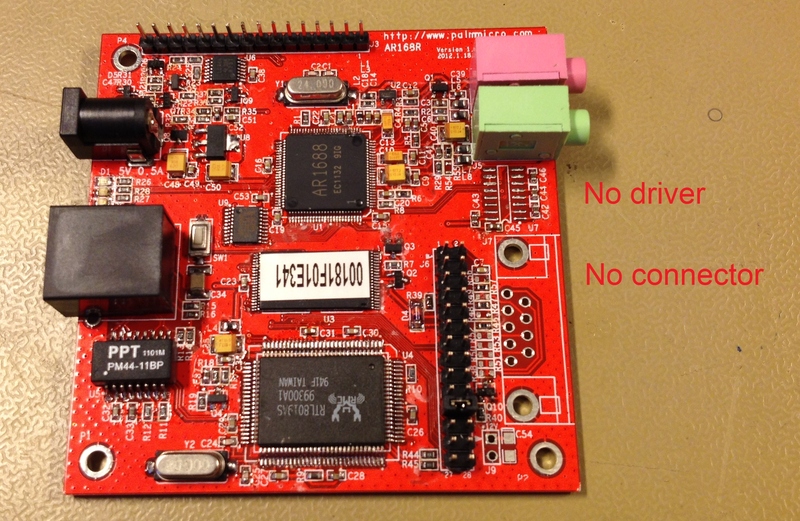 1) Our standard AR168R software will not work if LCD is absent. To use AR168R without LCD, the software must be compiled with LCD_HY1602 undefined in #ifdef VER_AR168R section in sdcc\include\version.h. 2) The standard AR168R software has not included UART function. To use UART function, the software must be compiled with option OEM_UART, as in command line mk ar168r sip us uart. No extra compiler installation is needed, the SDCC compiler is included in the software API package, in sdcc\bin directory. 3) In our demo UART protocols, all strings must be ended with '\0'(ascii 0x00) like in C programming. Otherwise AR1688 will not be able to handle the command sent to it, and may output debug message like UART data lost in sdcc\bin\manager.exe debug window. 4) In the demo protocols, KEY Z is for hook down indication to AR1688, and KEY z for hook up. Since AR168M VoIP module went out of stock in 2010, we have developed various unusual ways for people to test the module functions. Fortunately the puzzle may end in the near future, as we may receive an order of 100pcs AR168M soon. We will prepare more boards for other future customers at the time of manufacturing, and end the annoying practice of using AR168R as AR168M.